Today we are all about Spanish Tapas with these Seared Scallops with Shredded Manchego and a Bleu Cheese Crumble! If you haven't experienced tapas, you will want to give it a try! Tapas is a plate of fun, tasty and pretty small bites, all rolled into one. A real feast for your senses, tapas can be hot or cold, and is usually served with wine, beer or sherry. Many times it is enjoyed by creating several different dishes and making them a meal. A great way to do tapas is to make some "do ahead" recipes, like roasted almonds and vegetable dip, and then add in an entree type dish or two, like these seared scallops, and a small bite meat dish. Check out the recipes at the end of this post to find a variety of yummy tapas plates to try! 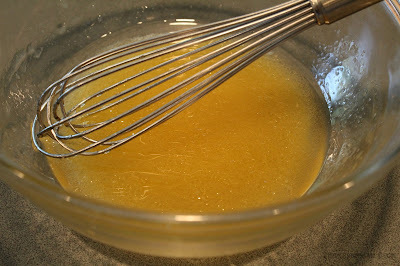 Whisk together the Olive Oil, Orange Juice and Honey. Refrigerate. Chop up the dill and lettuce. Shred the Manchego Cheese. Rinse the scallops. Heat butter in a pan on medium high heat. As scallops and the butter start to brown, turn them over to cook on the other side. 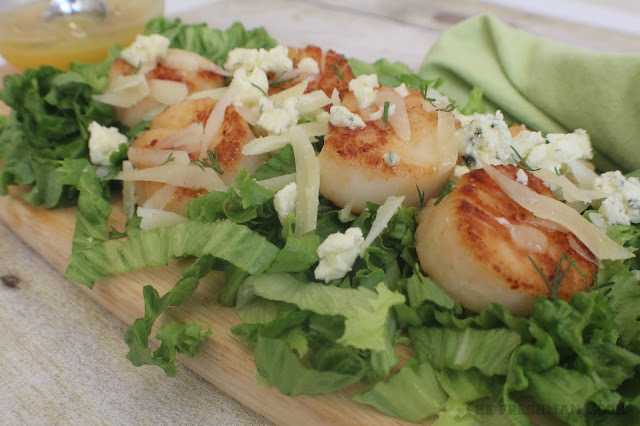 Once the scallops are done cooking, place the shredded lettuce on the plate or tray, and top with the scallops. 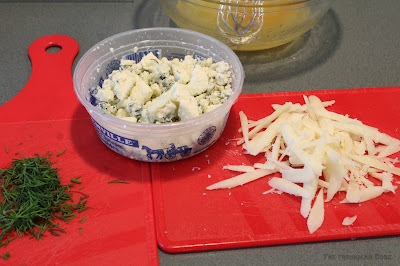 Sprinkle with the manchego cheese, bleu cheese and dill. 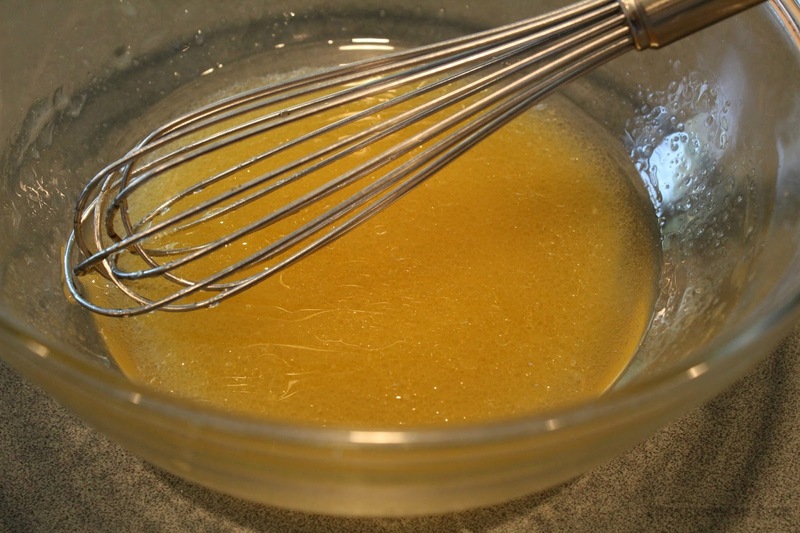 Drizzle with orange vinaigrette. Enjoy your tapas and the tapas experience! Scroll down to see all the Tapas recipes from Sunday Supper family members, and a big Thank you! to our host, Caroline, from Caroline's Cooking! These look so good. A favorite of my son-in-law. Loves a good scallop! 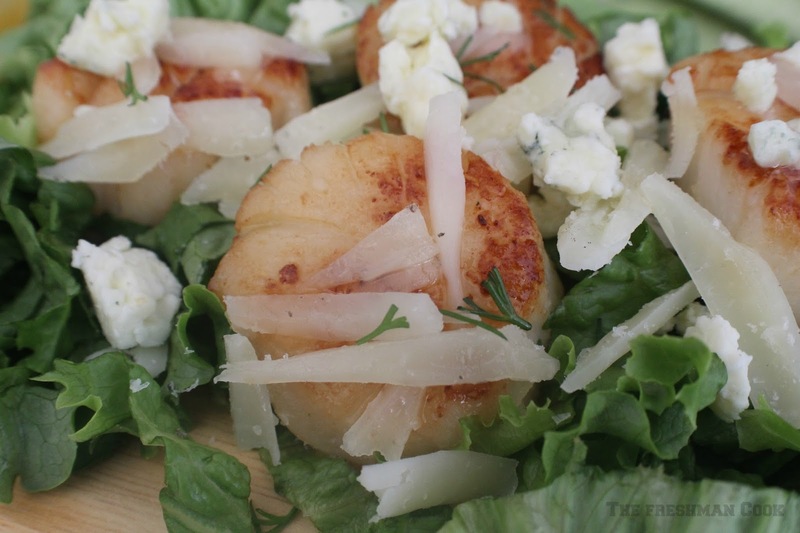 LOVE scallops and LOVE manchego. Delicious combination! Such a wonderful combination of flavors! 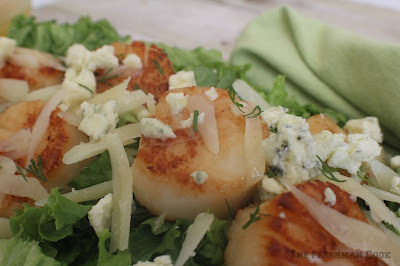 My husband would absolutely love these scallops. I love the citrus vinagrette on this! Gasp. Those look amazing. 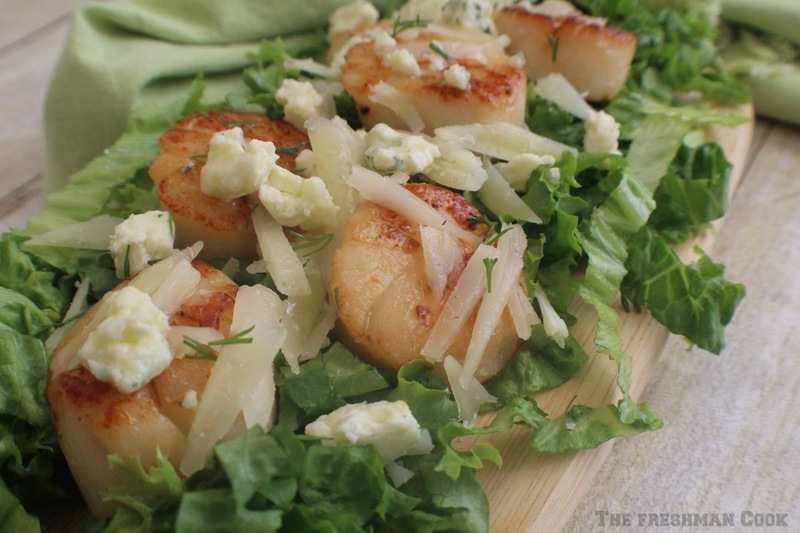 We always tend to eat our scallops plain so this looks like a great new way to eat it! Thanks for linking up at #SustainableSundays! FYI, I don't think the printing option is working.